NEC Technologies has developed its Superscript 870 desktop copier (an updated version of the very popular Superscript 860) specifically for home use, or for use in a small office environment. It is a laser enabled printer which only prints in monochrome, but is able to be integrated into computer systems. This upgrade is very successful and has been well received in the market. It is remarkably easy to set up and install, even for those who find technology a challenge. By most copier standards, this model is truly tiny. It is only 15.52” in width, 11.47” in depth and 10.52” in weight - and weighs a mere 17.64lbs. Even though it is small in stature, it is able to produce the high clarity and fast printing abilities of much larger machines. Its print quality is set at a very clear and sharp 600 x 600 dpi (dots per minute) resolution with 128 levels of grey; is able to print up to eight pages per minute on letter or legal size paper; and also prints on heavy stock paper and transparencies; and labels and envelopes of several sizes. This copier has one 150 sheet multipurpose tray which holds the input document; a face up output tray with a capacity of 50 sheets; and a face down output tray which has a maximum capacity of 100 sheets. An optional extra is a 500 sheet second cassette. As it has two paper trays, when the first is emptied it will automatically go to the second paper tray without the need to fill the first tray again. The SuperScript has a very strong engine, which is one reason that it only takes about 16 seconds to warm up and, thereafter, about three seconds for the first page to exit the machine. This great speed is an energy saver, as well as saving a lot of employees’ time, as they do not have to stand around waiting while the copier readies itself. The printer function of the NEC SuperScript 870 accepts the Adobe memory booster (an optional extra), which triples its already installed memory, thereby ensuring ease of printing of very complex jobs. This printer may be used with a Macintosh together with an optional network interface card kit. The system supports Adobe’s PrintGear and HP PCL 4.5 printer languages which offer 78 Type 1 fonts and 14 resident PCL fonts, so that almost any document can be copied and printed. The standard interface for this console is a bi-directional parallel, although you will have to purchase the cable for it separately, as another optional extra. The unit is able to be further upgraded to operate as a network printer but, for this purpose, the 10/100 Base-T Ethernet network interface kit, which supports TCP/IP protocol, Windows NT, Novell Netware and others, is yet another optional extra. 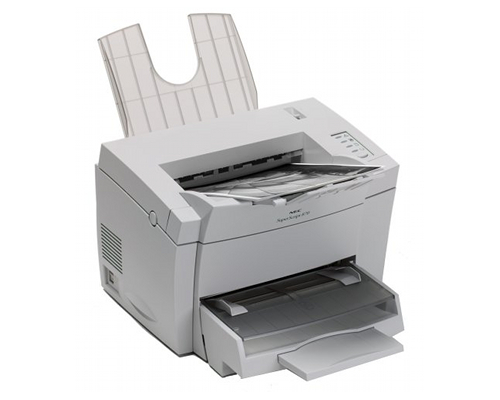 This copier also works with Microsoft DOS, Microsoft Windows 3.x and Microsoft Windows NT operating systems. Having Adobe’s PrintGear 1.2 chip together with a 20MHz 68EC000 co-processor and a Minolta engine enables this console to print multiple documents, as well as graphics, is the reason that this copier prints at such a rapid rate. The console also operates a parallel port connection and has network capability but, - once again, the special network interface card needed for this purpose is an optional extra, which needs to be installed. The basic unit has a 2MB of RAM. This is a reliable printer that wouldn’t let you down. It is ideal for use in a home or small office. 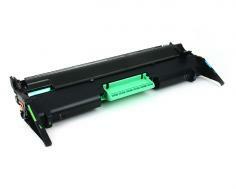 The toner is fairly cheap and long lasting. It virtually never jams and, if it does, it is very easy to remove the paper. Review it: "NEC SuperScript 870 "
The replacement toner cartridges are rated as being able to print 3,000 pages. 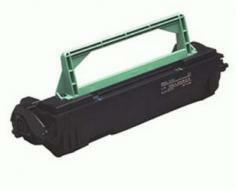 There is also a high capacity black laser cartridge available, which prints 6,000 pages.